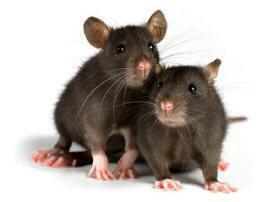 Rodents are know to spread as many as 35 different diseases to humans worldwide. These diseases can be spread through direct contact with rodents or their feces, urine, or saliva, or through rodent bites. Being bitten by ticks mites, or fleas that have been feeding on sick rodents can also spread diseases. The information on this page may help home and pet owners avoid diseases from rodents. Wild rodents can cause home damage, contaminate food, and cause illness in people and pets. Rodent infestations are more likely to occur when events such as flooding displace them. To avoid rodent infestation remove potential rodent food and water sources, and store food for people and pets in sealed containers. Clear debris and other material that rodents can hide in. Safely clean up rodent droppings, urine and nesting areas, always wearing gloves and spraying material with disinfectant until thoroughly soaked before attempting to remove or clean. Purchase your pet rodent from a reputable vendor who has an active health monitoring program, and select animals that have good body weight and hair coat and no obvious signs of illness. Rodents are not ideal pets for young children as they do not reliably wash their hands and often have more severe illness if exposed to zoonotic infections (diseases that spread from animals to people) from their pets. Due to their small size, rodents are also easily injured, and small children may accidentally cause serious injuries to the animal and possibly be bitten. If you do purchase a pet rodent, take your new pet to your veterinarian for a health assessment and follow that with regular check-ups. Always remember to thoroughly wash your hands after handling rodents or their cages/bedding, clean your pet's cage regularly and in a well-aerated area, avoid contact between your pet and wild rodents, and do not kiss or hold pet rodents close to your face. Young children should not handle rodents, and pregnant woman should avoid contact or being in confined spaces with rodents. Rodents can cause illness in people and pets through bites and direct contact with urine, droppings and water contaminated with rodent urine. In addition, rodents can cause disease by contaminating food, drink and eating utensils with urine or droppings. Inhaling dust from dried rodent urine, feces and nesting material can also result in illness. Pregnant women, children, the elderly and those who are immunocompromised should be particularly careful to protect themselves from rodent-carried illnesses. Rat Bite Fever is caused by bacteria called Streptobacillus that is common in the upper respiratory tracts and mouths of healthy appearing rodents, especially rats. People are infected most commonly through bites or scratches, and may also become ill after eating food or drink contaminated with rodent droppings or through close contact with rodents. In cases of bites, the wound often has healed or appears to be healing normally when infected people begin to feel ill (2-10 days after the bite). Antibiotic treatment for this disease is very effective. Illness in those who do not seek medical attention and treatment can be very serious and result in death; therefore it is important to immediately clean and disinfect wounds and promptly seek medical attention after any rodent bite or scratch. Lymphocytic choriomeningitis is a viral infection that can be found in wild rodents, primarily the common house mouse (Mus musculus). Infected mice can appear healthy while being infectious. Infection in commercially obtained pet rodents from reputable dealers is unusual; however pet rodents can become infected by exposure to wild mice. People can become infected after exposure to urine, droppings, saliva, or bedding of infected rodents. Infection is also possible if these materials are inhaled (aerosol transmission). Various studies on blood samples from people suggest that approximately 5% of people have been exposed to this virus; fortunately most people who are infected have very mild or no signs of illness. However, the virus can be transmitted from pregnant women to their fetus and can cause fetal death as well as severe birth defects while the mother experiences very mild or no signs of illness. Therefore, pregnant women should not handle rodents and should avoid being in the same room as rodents or being in an area where rodent contaminated materials are being cleaned. For example, cleaning pet rodent cages or sweeping dust contaminated with dried rodent urine or feces can create an infectious aerosol. Rodent infestations should be dealt with promptly by a professional pest control company. Those who are immunosuppressed are also at higher risk for serious illness and should take similar precautions. Leptospirosis is caused by Leptospira bacteria carried by many different kinds of animals, including cattle, pigs, horses, dogs, rodents, raccoons and other wild animals. People can become infected through contact with water, food, or soil containing urine from an infected animal. Contact with contaminated material and cuts or breaks in the skin can also result in infection. Flooding events (contaminated water) have been associated with multiple cases of illness in other countries, but has only rarely been seen in the U.S. Multiple leptospirosis infections have been associated with adventure races (swimming in contaminated water), including 63 illnesses associated with a race in Florida in 2005. Many infected people experience mild or no illness while for others the disease can be severe or life-threatening. Infection can be prevented by avoiding contact with water that might be contaminated with animal urine. Salmonellosis is an infection with Salmonella bacteria. It is most commonly associated with insufficient hygiene or inadequately cooked food, but can also be acquired from animals. Salmonella bacteria may be found in the feces of many animals, including pets. Reptiles (turtles, snakes, lizards, etc.) and birds commonly carry Salmonella without signs of illness. Many mammals, including rodents can also carry these bacteria. People can be infected if they do not wash their hands after contact with rodent droppings or if food, drink, or eating utensils are contaminated with rodent feces. 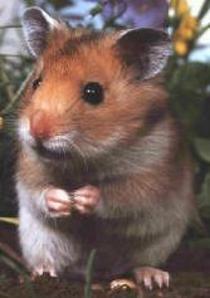 Hantavirus is present in rodents throughout the U.S., and has been identified in cotton rats in Florida. 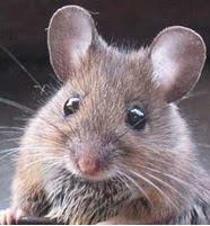 Most human cases of Hantavirus have been occurred in the western U.S., although cases have also occurred in the east. Fortunately, only one human case has ever been diagnosed in Florida. Hantavirus infection occurs when you breathe in virus-containing particles from rodent urine, droppings, or saliva that are stirred into the air. It is important to insure good ventilation and to avoid actions that raise dust when working in areas where rodents have been; activities to be avoided include sweeping or vacuuming. Rabies is extremely uncommon in small rodents such as mice, rats and squirrels. Cases are occasionally seen in larger rodents, particularly woodchucks (not present in Florida). In the last 20 years, the only rodent found to be positive for rabies in Florida was a beaver. There have been no documented cases of rabies in humans associated with exposure to rabid rodents in the U.S. or elsewhere, although you should still seek medical attention if bitten by a rodent. To prevent exposure to rabies, avoid direct contact with wildlife and vaccinate dogs, cats, ferrets and livestock. If you are bitten by a rodent or any other animal, seek medical attention from your health care provider.